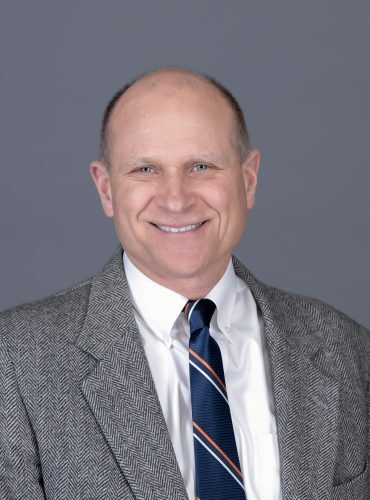 Ryan Cotton is a Vice President with GovHR USA, and has over 35 years of experience as a local government management professional in four communities in two states including Montpelier, Vermont and Grand Haven, Spring Lake and Holland, Michigan as a Credentialed Manager. From 2012 to 2017, Mr. Cotton served as the City Manager of Holland, a progressive, vibrant, diverse community in West Michigan. During his tenure in Holland, Mr. Cotton was responsible for a $36 million budget and 185 full-time employees. Consensus on $28 million in capital asset redevelopment was accomplished. New intergovernmental cooperation and automatic emergency service agreements improved public safety. New at-risk youth and community police programs were initiated that helped reduce juvenile crime by 57%. Mr. Cotton was known for his organizational planning and facilitation, strategic management, neighborhood redevelopment, fiscal management, multicultural human relations, intergovernmental collaboration, and grant outcomes. Mr. Cotton served as the Village Manager in Spring Lake, Michigan from 2002 to 2012 and as City Manager in Grand Haven, Michigan from 1995 to 2002. Spring Lake and Grand Haven are full-service, waterfront communities with high service demands. In Spring Lake, Mr. Cotton supervised and strengthened the joint Police Department for Spring Lake and Ferrysburg that led to major Police Department and Village Hall renovations. New intergovernmental agreements with Spring Lake Township and City of Grand Haven resulted in shared and expanded services. Capital project grant financing, fiscal efficiencies, increased service demands, and brownfield redevelopment were a focus in each community. Significant water, sewer, street, and other capital asset projects were completed, as well as blighted and obsolete buildings removed via new commercial development from a variety of economic development tools. Mr. Cotton facilitated multiple community consensus building opportunities including master plans and strategic plans. His tenure also included building regional and state agency consensus for a multi-community connector path across the Grand River. Prior City Manager services were provided to Montpelier, Vermont from 1986 to 1994 where Mr. Cotton achieved voter approval of $12 million in bonds and grew regional collaboration for improved ambulance services. He also assisted the Vermont League of Cities and Towns on municipal recruitment and team building. In each community, Mr. Cotton oversaw labor relations and conducted strategic planning and facilitation for multiple non-profits. Mr. Cotton also served in leadership roles for regional services such as central dispatch, electric and municipal utilities, and was appointed to statewide boards, including the Michigan and Vermont municipal executive boards. Mr. Cotton also assisted the City Managers of Lake Forest, Illinois and Upper Arlington, Ohio earlier in his career. Mr. Cotton holds a Bachelor’s and Master’s degree in Public Administration from Miami University of Ohio and the University of Kansas respectively, as well as a Masters in Political Science from Western Michigan University. He served on several accreditation teams for the National Association of Schools of Public Administration (NASPAA). Mr. Cotton currently teaches public administration and political science courses at Hope College and Grand Valley State University in their Bachelor’s and Master’s programs including strategic management, organizational dynamics and local politics. West Michigan Green Infrastructure Conference, Municipal Stormwater Policy and Funding, Michigan Department of Environmental Quality Grand Valley State University, Grand Rapids, Michigan, 2015. Testimony to State of Michigan House and Senate Committees, On-Bill Energy Legislation, resulting in eventual adoption and Governor’s signature, 2014. Michigan Association of Municipal Attorneys, The ABCs for Municipal Attorneys, Lansing, Michigan, 2009. Testimony to the State of Michigan House Committee on Land Use and the Environment, Impact Fees, 2013. Michigan City Management Association (prior to becoming the Michigan Municipal Executives), Community Information Systems, Ypsilanti, Michigan, 1999. Michigan Municipal League, Building a Sense of Place Grants, Muskegon, Michigan, 1998. Vermont Association of Realtors, Impact Fees and Cities, 1988. National Caucus of New England Legislators, Growth in New England, in Manchester, New Hampshire, 1988.
International City Manager Association National Conference, Service Request Systems, San Antonio, Texas, 1984.